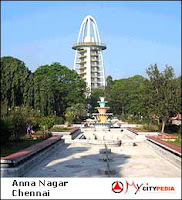 Anna Nagar lies precisely to the west of George Town, the city center. The two, as well as other suburbs, are connected by a network of roads and railways. The road distance between the two is approximately 6 kms. Anna Nagar has a railway terminal located towards its northern edge. The railways thus, provide the accessibility. PG Accommodations for Men/Women Shared/Single available in & around Annanagar/Mugappair/Thirumangalam /Annanagar West Extn for both Long&Short Stays. AC/Non AC. Totally residential areas with all facilities. Laundry / Complete Maintenance/Mosquito Net / Mineral Water / TV / Fridge / Newspaper/Parking. All at affordable price.